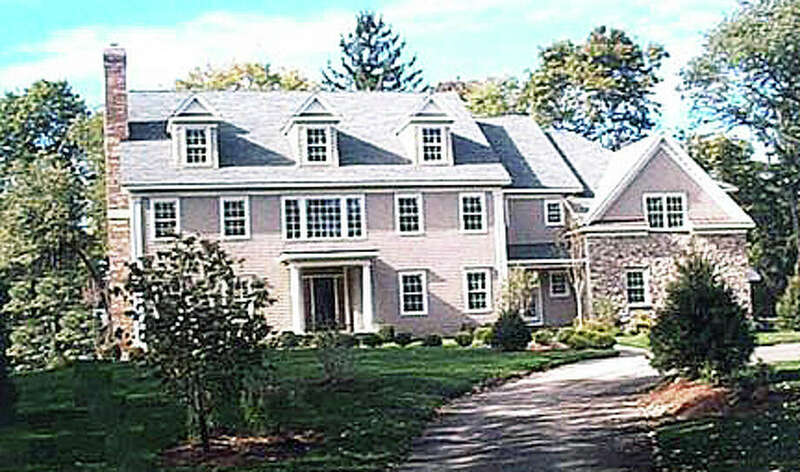 The house at 4 Greenwood Lane recently sold for $2.25 million. 8 Vani Court, sold to William Ryder by Pennymac Corporation, $380,000. 31 Owenoke Park, sold to Elise Maclay by JJ Salzman LLC, $100,000. 8 Tower Ridge Road, sold to Michael O'Looney and Annika Pergament by Cynthia E. Habighorst, $1,475,000. 4 Glenwood Lane, sold to David and Rachel G. Gordon by Mark T.L. Sargent and Pamela Moffett, $2,250,000. 22 Sue Terrace, sold to Timothy S. and Katherine S. Whee by Andy and Dimitra Tsilfides, $1,355,000. 1 Wilton Road, sold to 1 Wilton Road Westport LLC by One Wilton Road LLC, $692,500. 340 Compo Road South, sold to Douglas L. Williams by 340 Compo Road South LLC, $1,650,000. 27 Pumpkin Hill Road, sold to Kiran Shankar and Premila Mudduswamy by Douglas and Irene Kniffin, $1,065,000. 12 Silent Grove North, sold to Able Construction by Sam Wechter, $725,000. 5 Jonathan Lane half interest, sold to Reed R. Wang by Charles E. Kriewald, $337,500. 5 Jonathan Lane half interest, sold to Reed R. Wang by Philip B. Kriewald estate, $337,500. 76 Kings Highway North, sold to Lee J. Medoff and Penelope K. Hoblyn by William John Peter Jr. and Louise Peter, $1,175,000. 81 Old Road, sold to Robert T. and Tara P. Chlupsa by Keith G. and Pamela A. Evans, $1,080,000. 144 Compo Road South, sold to Jason and Elena Klopfer by Thomas G. and Nancy J. Boyajy, $1,450,000. 26 Hills Lane taxes paid in Norwalk, sold to Richard Wayne Nobes and Holly Martucci by Christina C. Brandt, $312,000. 36 Center Street, sold to Michael J. and Denise B. Cain by John S. and Amy Jessup Richards III, $758,000. Total value of the properties sold is $15,142,500, generating conveyance taxes of $34,376.25.